It’s the season of giving and here at HairGia, we want to help you give the gift of great hair! 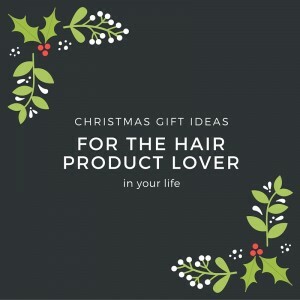 Looking for the perfect gift for a beauty/haircare lover? Look no further! 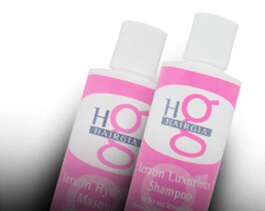 If your friends or family members haven’t tried HairGia products yet, get them our line of Keratin products as a “starter kit.” The Keratin Luxurious Shampoo and Keratin Hydrating Masque work wonders on all hair types, eliminating frizz and leaving your hair silky smooth. They will be oh so grateful! Looking for some great stocking stuffer ideas? Our hair finishing products make perfect stocking stuffers! Treat someone to a little luxury with our Saharan Liquid Gold Argan Oil. This luxurious serum smooths dry, frizzy hair, and is gentle enough to use on dry skin! Or, give them a bottle of Spray Shine to add a little extra sheen to any hairstyle. Who doesn’t need a high quality hair spray? Our Creative Hair Spray is a botanical-rich, Earth-friendly hairspray that provides all-day hold, but washes out clean with no residue. All of our products are great for men and women, but some that might appeal particularly to the men in your life are our hair loss products and our styling gels. For those suffering from thinning hair, our Hair Loss Rejuvenator Shampoo and Conditioner encourage healthy hair growth while cleaning away toxins and DHT. Great for anyone looking to prevent hair loss or encourage the growth of fuller, longer hair. Finally, our Firm Hold Styling Gel is a great option for the man looking for all-day hairstyle hold. Ideal for a slick backed look. 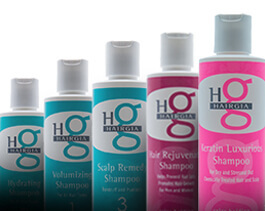 It just wouldn’t be fair not to share your favorite HairGia products with your loved ones, so order today!